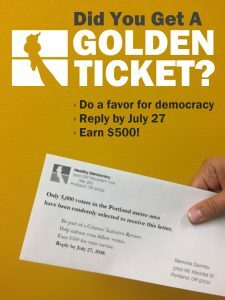 What: For the first time in state history, the Citizens’ Initiative Review Demonstration will bring together eligible California voters for a deliberative process to demonstrate how citizen participation can make the California Initiative more transparent, more understandable, and more independent of campaign spending. Who: Pepperdine University School of Public Policy, Davenport Institute for Public Engagement and Civic Leadership, Healthy Democracy, County Registrars, Representatives from the California Legislature and Secretary of State’s office, Democracy Reform Organizations, Students from California Universities. Initiative reform is a perennial issue in California, the most active state in the Union when it comes to the initiative process. The need for non-partisan democratic reform is especially acute in California. A MapLight.org analysis of campaign spending on the 17 statewide initiatives on California’s November 2016 ballot revealed that four of those measures received more than 75% of their funding from individuals and groups outside of California. The Citizens’ Initiative Review (CIR) is an innovative way of publicly evaluating ballot measures so voters have clear, useful, and trustworthy information at election time. During the CIR a panel of demographically-balanced voters is brought together from across the state to hear from advocates and experts and deliberate together to fairly evaluate a ballot measure. The CIR has been used in Oregon, Arizona, Colorado and Massachusetts. It has not yet been undertaken in California. On March 5-7 the Davenport Institute and Healthy Democracy will convene a demonstration of the CIR at Pepperdine University in Malibu. For the purposes of this demonstration project, the citizen panel will be comprised of a group of students from undergrad and graduate schools from across California, balanced to be diverse in terms of politics, gender, and ethnicity. They will be deliberating on one of the more complex measures from the November 2016 statewide ballot, Proposition 61: Drug Pricing Limits. Over the course of three days, the panel will examine ballot materials, consider the arguments of advocates for and against Prop 61, hear from issue experts, and deliberate in small groups. 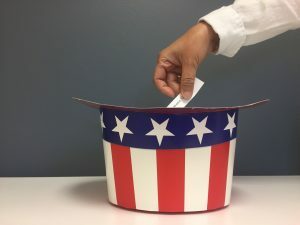 At the conclusion of the in-depth review, the panel will draft a Citizens’ Statement outlining the most important key facts about the ballot measure and identifying the strongest arguments for and against the measure. In states that have implemented the full CIR process, this statement is included with ballot information to provide an overview that does not take a position on the measure, but that offers a multi-partisan perspective on the meaning of an initiative as well as a consensus about which arguments for and against the measure are most valid and compelling. Interview Opportunity: The CIR will take place over the course of three days. While the entire process is open to observation by members of the public and the media, there will be opportunities to interview panel participants, process organizers and observers at the end of the process at 5 pm, Tuesday, March 7.